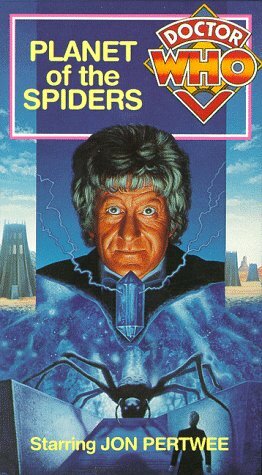 In the last and most dangerous adventure in the Pertwee years, what begins as innocuous research into ESP turns into a deadly mind battle, with the terrifying spiders from the planet Metebelis Three pitted against The Doctor, his friends and fellow Time Lord K'Anpo. At a Tibetan-style spiritual retreat deep in rural England a clandestine circle of chanting brethren unknowingly call upon the evil powers of the Metebelis Spiders, whose quest for the perfect blue crystal leads them straight to the Doctor. He must travel to the alien planet to meet the Great One, merciless ruler of her spiders and human slaves, who plans to take over Earth. The future of the entire universe is in the Doctor's hands, but if he is to face the fear the Great One sees in his mind, then he must face the certainty of total destruction. Could this be the Time Lord's final death?